Like a Facebook for the universe, Astronomy gives every important celestial body and concept its own page, where readers can learn its behaviors, likes, and dislikes up close and personal. From the flashy stars to the shadowy and strange objects that hang out like loners at the edges of the universe, no player goes unnoticed. Every profile has a hip anime-style portrait to round out the picture, but make no mistake: while the presentation is all style, the science is rock solid. The universe has never been so cool. Simon Basher is the creator and illustrator of The Periodic Table, Physics, and Biology. Dan Green studied Natural Sciences at Cambridge University. Since graduating, he has written and edited many popular science titles and humorous books, become the editor of a South American national newspaper, worked as a travel writer, as well as developing and editing the wildly successful Horrible Science magazine collection. 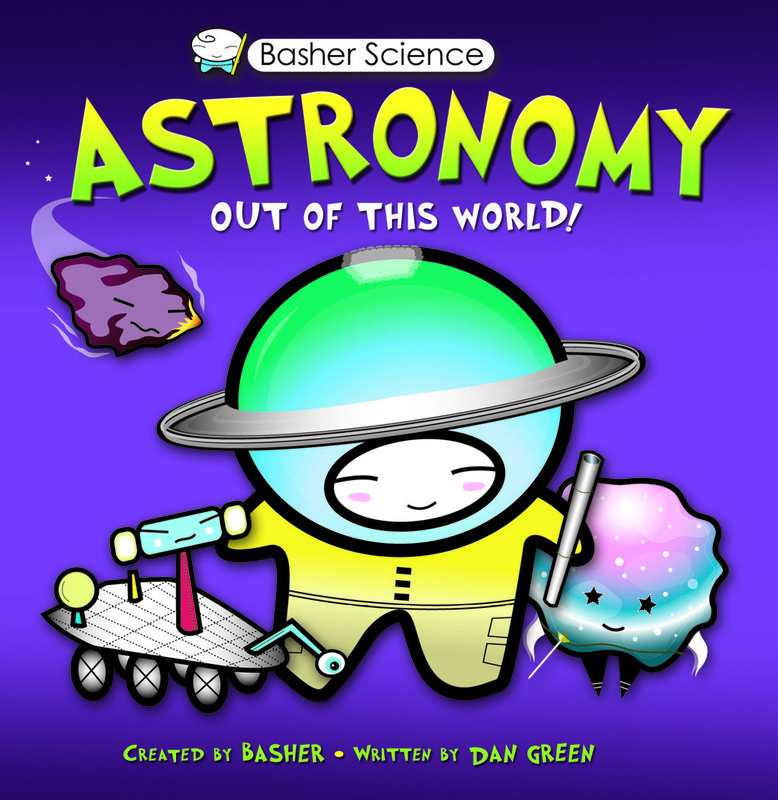 He is the "voice" of Basher's bestselling science-made-easy books, and to date has written nine titles in the series.